The building is located on a attractive location, only 400m from the tourist center and sandy beach. 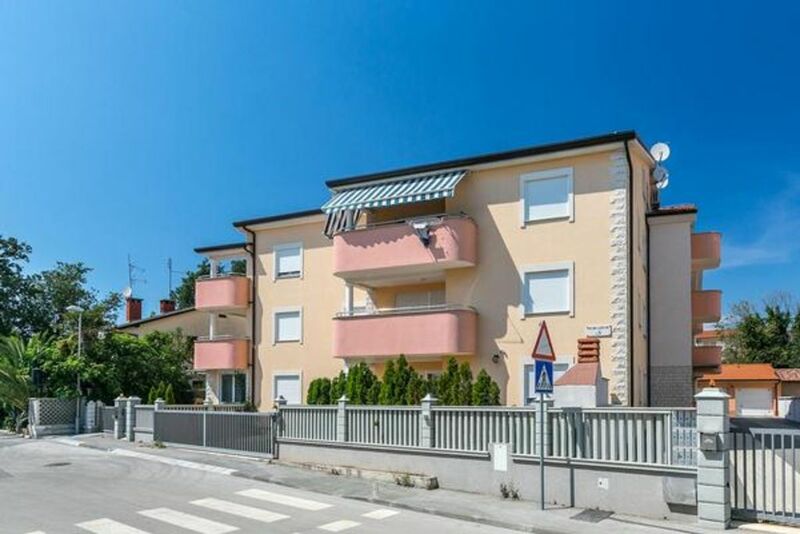 Apartment is situated on the ground floor and can accommodate six people. It is modernly furnished and provides everything for a nice comfortable vacation: three bedrooms, air conditioned living room, fully equipped kitchen, bathroom with washing machine and spacious terrace with barbecue just for the guests. Bedrooms are not air conditioned. Guests also have TV/SAT, bed sheets and towels. Pets are not allowed. No WiFi. Please note the bunk beds are 180cm long.